Angela, Mari's mom, actually MADE her gorgeous silk organza gown that turned into a short, fun reception dress! Hard carved rings, beautiful ceremony, and white and blush reception decor! 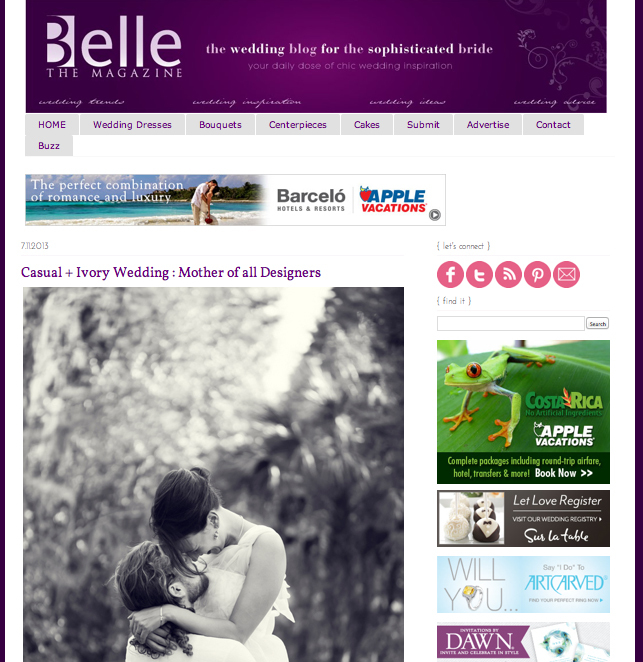 Belle the Magazine Blog just featured Mari and Mark's simple and sweet wedding story!